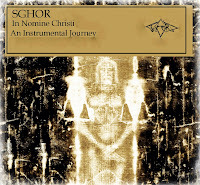 Noname group -oNLe (i've never ever heared of 'em..) gave us an interesting Bootleg from polish Black-Metallers 'Sghor' today. the release notes in the .nfo are written in polish..
sound quality is okay. According to EncSpot, the rip is scenevalid. This isn't a must have, but if you are in the mood for such genre-mix, it's worth a listen.